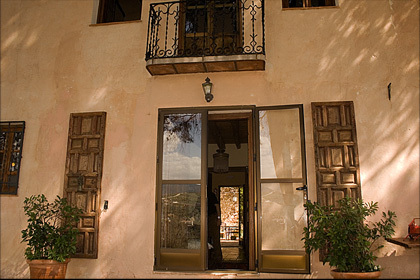 EL CORTIJO DEL PINO Bed and Breakfast or Complete House Rental. 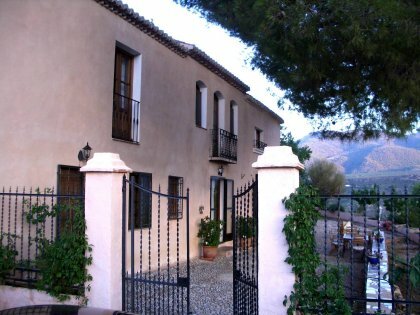 A secluded country house magnificently located with sweeping views of Lecrin Valley in an unspoilt haven of Andalucia with the Alhambra and the fascinating city of Granada only 30 mins away.The beaches of the Costa Tropical at Salobrena take slightly less and the ski slopes of the Sierra Nevada a little more. The G7 walking route and horse trekking from the front door. 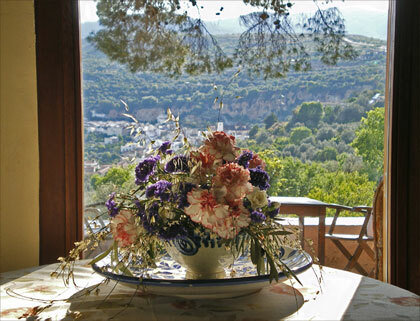 Five individually decorated ensuite bedrooms, pool, long scenic terrace, rose festooned arbour, mature gardens and cool gazebo and orange and lemon groves below. View from salon over valley. 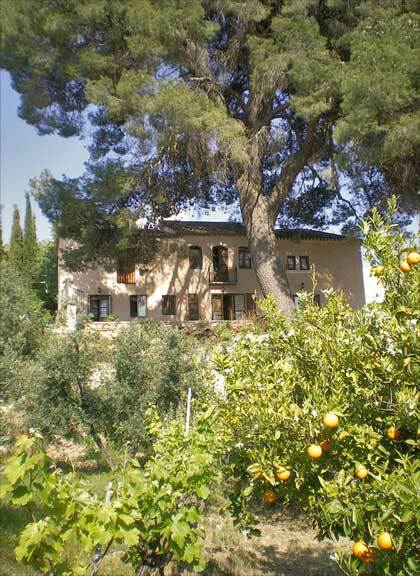 El Cortijo del Pino, Fernan Nunez ", 18659, Albunuelas, Granada.